The National Gallery of Ireland’s multimillion euro refurbishment represents years of hours and planning from those working behind the scenes. 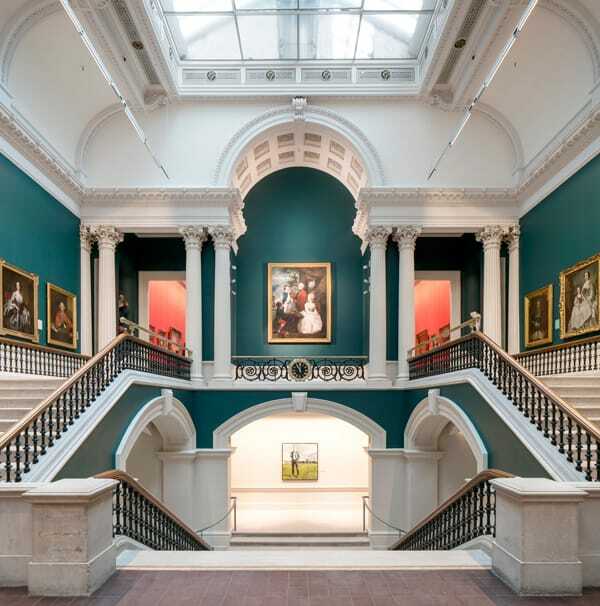 When the National Gallery of Ireland opened its doors to the public after a period of extensive refurbishment of its two historic wings on Merrion Square earlier this summer, the reaction was one of wonderment and delight. The project saw spaces in the Dargan and Milltown Wings transformed and an entirely new presentation of the Gallery’s permanent collection. Heneghan Peng Architects, who have offices in Dublin and Berlin, were the design team leaders on the refurbishment. The award-winning firm takes a multi-disciplinary approach to design, with previous projects including the Palestinian Museum, Bir Zeit, West Bank; the Grand Egyptian Museum in Giza and The National Centre for Contemporary Arts, Moscow. Heneghan Peng’s two main goals were to provide a more accessible, logical route through the collections in the Gallery, which has seen 150 years of expansion and development, and to restore the historic wings providing clean and energy-efficient systems to the highest international standards. Phase one of the masterplan involved putting a roof in the Dargan Wing, which dates from 1864, with phases two and three seeing the refurbishment of the Dargan and Milltown (1903) wings, and the creation of an energy centre. The refurbishment has changed visitors’ engagement with the Gallery although quite often it is what is unseen, rather than what is obvious, thanks to the seamless integration of the new additions and systems with the existing fabrics. One immediately apparent difference is the light well for adjacent galleries, which previous visitors would not have been aware of. This has been transformed into an airy courtyard and works as a ‘rest space’ thanks to the opening of four forgotten windows in the Shaw Room. Universal access has been created with new lift cores and stairs. Lighting levels, visual contrast cues, materials, audio aids, fire escapes and safety material were also important considerations. One of Heneghan Peng’s biggest tasks was to implement environmental control throughout the Gallery which, prior to the refurbishment, did not exist apart from heating, and to minimise services running throughout the building. This was achieved by placing an energy centre in the garden of the Merrion Square entrance, which removes most of the major systems from the building, with the barely noticeable services installations running from a tunnel, under floors. One of the obvious advantages is that most of the big mechanical systems were going into new constructions and not the historical building. A slope has replaced the steps to this entrance, parking has been removed and benches in the garden incorporate ventilation extract from the energy centre. Another of Heneghan Peng’s challenges was how to work with difference in styles in the three older wings, which range in dates from 1864 to 1968. “In terms of the architectural feel of this space, it was made up of all these different buildings and so many different voices. The character of the building is almost the stories of all these layers. One of our options was to – come in and pull it all together, but we decided that what we would do is let all of these layers read,” explains Róisín. She points out that the National Gallery is a Victorian structure, built in a time when there were far fewer visitors to the Gallery than there are now, which is why buffer areas, like the Courtyard, are very important. This space between the Dargan and Milltown Wing, originally intended for the adjacent galleries and forgotten about, has been treated like a found space, with the original wall finishes intact. A glass roof, supported on triple laminated fully tempered glass fins spanning the gap between the two historic wings, ensures that the Courtyard, which has new lifts on either ends, is a brightly daylit space. “It’s a way for people to step out of a gallery and take a bit of a rest and it’s that space where you take a bit of time out,” says Róisín. Light plays a vital role in the Gallery’s refurbishment. The light in the gallery reflects the condition outside, with the lux levels considered cumulatively over the course of a year, with the controlled lighting variable and sparkling. This was achieved by incorporating micro louvres within the glazing which redirects light, eliminating direct light and has a UV transmittance below 1pc. The Gallery’s heat is provided by a CHP system, although this will be de-prioritised as the electrical grid efficiency improves, with a heat pump taking over. LED lighting is used in all areas of the Gallery, creating an optimum neutral colour to view the paintings. “Until fairly recently galleries would not use LED lighting because colour rendition wasn’t so good. But in recent years, the technology has advanced,” Róisín says. The final phase of the master plan, currently in the preplanning stage, includes the provision of 6000m² spaces, with an Education Centre for Learning and Creativity, a Centre of -Excellence for Conservation and the storage of the Gallery’s National Art Library and Archive. The masterplan will also create a new connection between the Merrion Square and Clare Street entrances, opening up the four levels of the Gallery. The final phase of the master plan also incorporates the renovation of the 1968 Beit Wing. For John Paul Construction, one of Ireland’s leading international specialists in construction, infrastructure and fit-out, the scope of their work comprised the introduction of the state-of-the-art environmental control systems into the Gallery’s historic wings, to maintain the optimum climate for the art collection. Over 24 months, some 180 operatives were working on site at peak, with the management team reaching 24 directly employed site staff with a contract value of €26m. The company’s work included extensive works to the Dargan Milltown Wings as well as the front entrance block to Merrion Square, with the careful selective demolition, modification, refurbishment, conservation and extension of these buildings, and their ancillary areas. For the creation of the new courtyard, John Paul Construction’s work included the creation of a new sub-basement level services zone that entailed underpinning the thick walls of the historic wings on either side of the planned courtyard, then installing new floors, lift cores, wrap around terrazzo finished-stairs with glass balustrading, beneath the fully tempered glass roof structure. Other Challenges of the project included, fully integrated services installations and the modification, refurbishment and conservation of existing historic elements. The historic buildings of the NGI, and historic railings, walls, gates, statues and adjacent buildings at no. 88, Merrion Square are all Protected Structures. 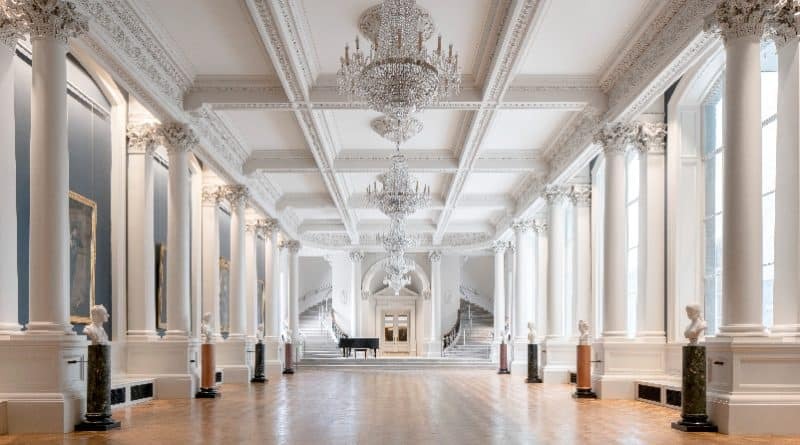 According to Donal Winters, John Paul Construction’s Operations Director, all works were carried out in accordance with a strict conservation agenda sensitive to the historical significance of many retained features of the historic wings and building fabric of the National Gallery. There were several challenges that working on historic buildings in a city centre location presented the company with. Accuracy of historic record was one, with a dependence on accurate survey information. Identifying redundant and live services early on was another, as well as dealing with the risk of asbestos; irregular foundation details with historical use of unsuitable fill materials below structure and ability of ground formation to take additional load from the modified structure. Other issues to contend with include the structural capacity of existing structural members, managing the interface between new work and old; air tightness, fire compartmentation, thermal/ acoustic performance issues with historic building fabric and non-compliant stair and balustrade profiles. The company also had to find consensus on conflicting conservation expectations between client, designers and contractors, particularly regarding materials that are not able to be fully exposed or investigated pre-construction. A number of unprecedented issues arose, which John Paul Construction had to resolve. These included the discovery of a historical well during sub-basement excavations, which required archaeological investigations before backfilling with stone, as well as the discovery of historic underpins under wall foundations that had to be trimmed back to provide the space required for the subbasement services zone. There were also issues with proposed service routes through the building fabric, requiring the team to collaboratively explore other routes that would provide the same outcome. Paint selection too was challenging with the requirement to source a low sheen paint, in the colour tone required by curators and this was resolved again collaboratively between designers and manufacturers through trial and error. But the company had no difficulties sourcing specialist trades. 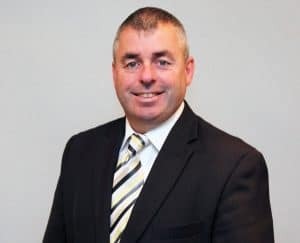 “JPC have a strong and proven supply chain for delivering major restoration projects such as the NGI, including specialist crafts for stone restoration, lime rendering, historic joinery, cast iron works, and window restorations,” says Donal. The seamless integration of the new environmental services into the historic building fabric was a major challenge of the project. This involved the introduction of the new basement energy centre connected to new roof mounted plantrooms via a substantial subfloor basement. This area also houses the mechanical and electrical systems distribution network, as well as the ventilation systems that will control and regulate the temperature and humidity within the Galleries. These services will be supplied from this new basement structure into the Gallery spaces via concealed services risers, floor voids, and under the historic seating benches. Discreet fire protection systems including mist sprinkler systems and gas suppression systems have been introduced within all spaces, with fully integrated security and building management systems controlling the new systems. Low energy lighting systems were also introduced throughout the Gallery. Sustainable initiatives included the commissioning of Ice-banks to provide free cooling when required, CHP units, and low volume toilet cisterns. In terms of lessons learnt from the project which the company will carry forward to future works, Donal emphasises the requirement for detailed preconstruction investigations and exploratory works when dealing with historic buildings, where new works will interface with existing. John Paul Construction worked closely with the design team to develop a bespoke exhibition lighting system to showcase the National Collection where linear wall wash fittings were commissioned that are fully tuneable to different mood and scene settings as may be required for different art installations. Modula are an electrical engineering and distribution company currently based in Crumlin. Contracted to design, supply and commission a fully addressable lighting control system they worked side by side with the construction team on the NGI project. “It’s a router-based fully addressable lighting control system that also monitors the installation’s emergency lighting,” explains Modula’s business development manager, Niall Donovan. A challenge for Modula has been introducing the industry to the Helvar DALI system as specifiers and installers in Ireland are largely unfamiliar with it. However, Niall points out that it’s been tried and tested worldwide and has been installed in other high-profile galleries namely the National Portrait Gallery (London) and Tate Britain. Modula are currently rolling out this same system in Ireland on the PPP Courts bundle nationwide as well as 14 brand new Primary Care Centres. Regarding the NGI project the Modula engineers were centrally involved during each construction phase, including, design, installation, commissioning and end user training. 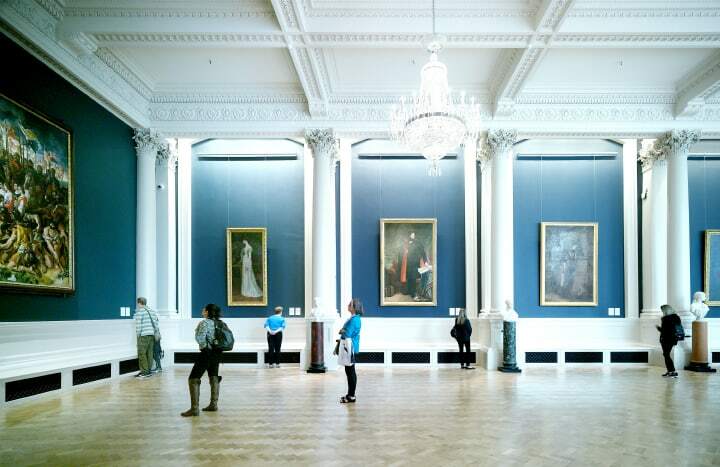 “We’re really proud to have our lighting control system installed in the National Gallery of Ireland and to have been an integral part of the rejuvenation of this jewel of Irish heritage,” Niall says. 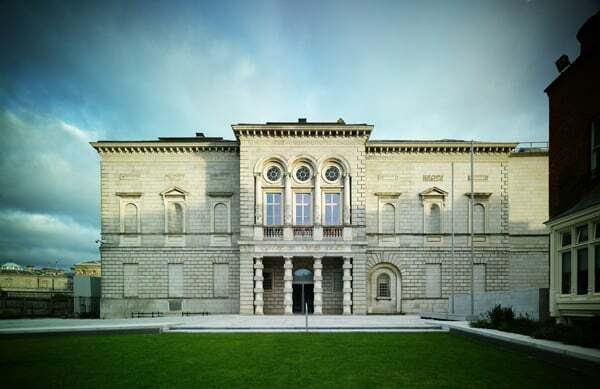 The climate that prevailed in 2013 when a decision was required on whether to proceed with this project for a major programme of refurbishment works to the National Gallery of Ireland was a radically different climate to the one of today with a now rising economy. It would be easy to forget the many demands that existed at that time on exchequer resources and while it was highlighted at that time that the Government’s significant capital investment in this project reaffirmed its commitment to the cultural institutions of the state, I doubt if many would have envisioned such an amazing transformation for the Gallery and the visitor experience that can now to be enjoyed as a result of that investment. This project for me clearly demonstrates what can be achieved from the collaborative efforts of various arms of the State. The funding provided jointly by the National Gallery of Ireland, the Department of Culture, Heritage and the Gaeltacht and by my own Office, the Office of Public Works, for this project not alone represents an investment in the protection of the fabric of the historic buildings occupied by the National Gallery of Ireland but has also provided the Gallery with environmental conditions to international gallery standards that befits a modern gallery. Additionally, the project undoubtedly provided a much needed boost to employment in the construction sector during that difficult time. Critically, this project had a need for some very specialist skills, skills for which the market opportunities at that time would have been particularly low. I would like to thank the Design Team headed by consultant architects Heneghan Peng and John Paul Construction Ltd, the Main Contractor for the works, for delivering what has been lauded by all as a major transformation for one of the most important cultural institutions of the State. I am delighted that my office, the Office of Public Works, played such a pivotal role in this important project.